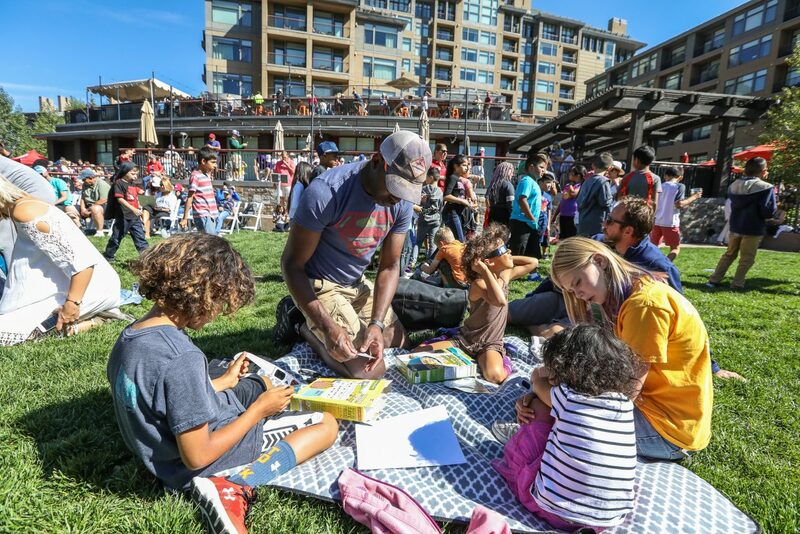 Lino Piedra of Eagle-Vail uses a pinhole projection to view the eclipse at the Walking Mountains Science Center's Eclipse Watch Party Monday at the Westin Riverfront Resort and Spa in Avon. 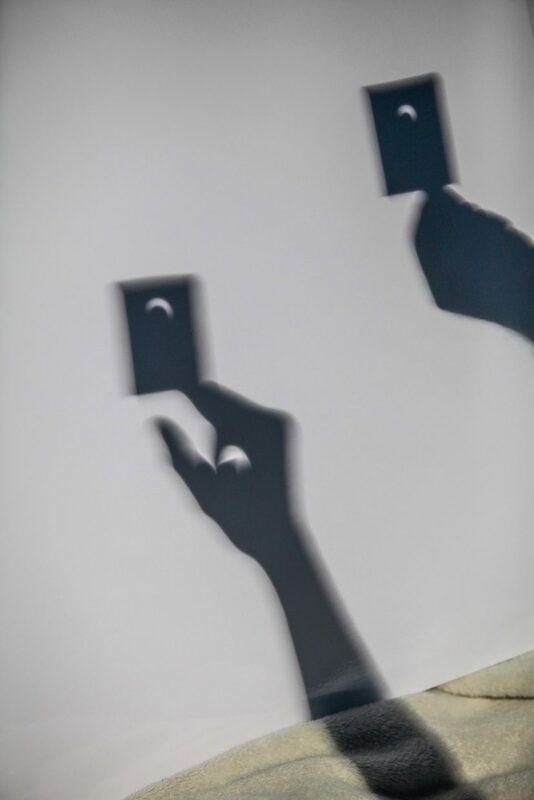 People used special glasses and shadow techniques to view the eclipse. 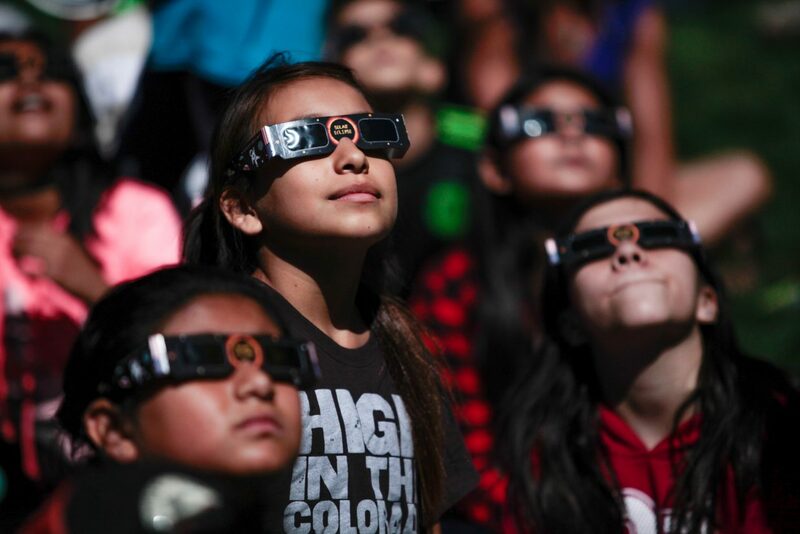 Kids from Avon Elementary School look at the eclipse through special glasses during the Walking Mountains Science Center's Eclipse Watch Party at the Westin Riverfront Resort and Spa Monday in Avon. 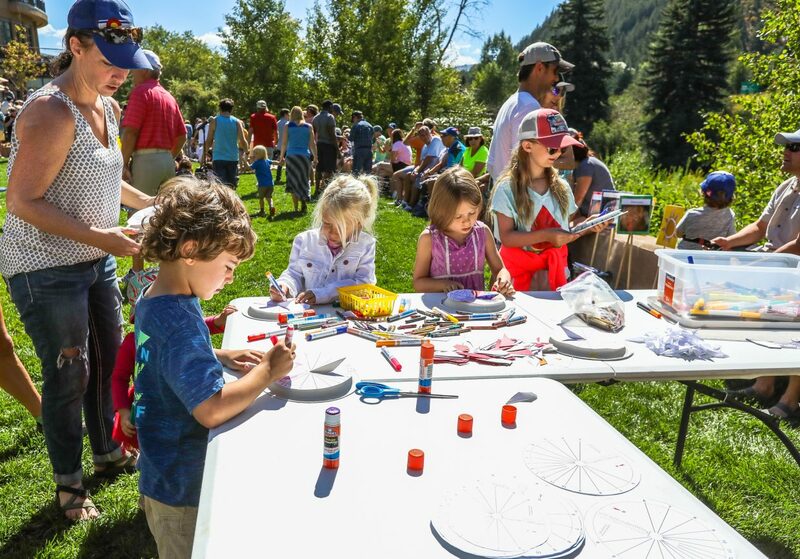 Hundreds showed up to view the solar event, which hasn't happened it totality in the U.S. since 1979. 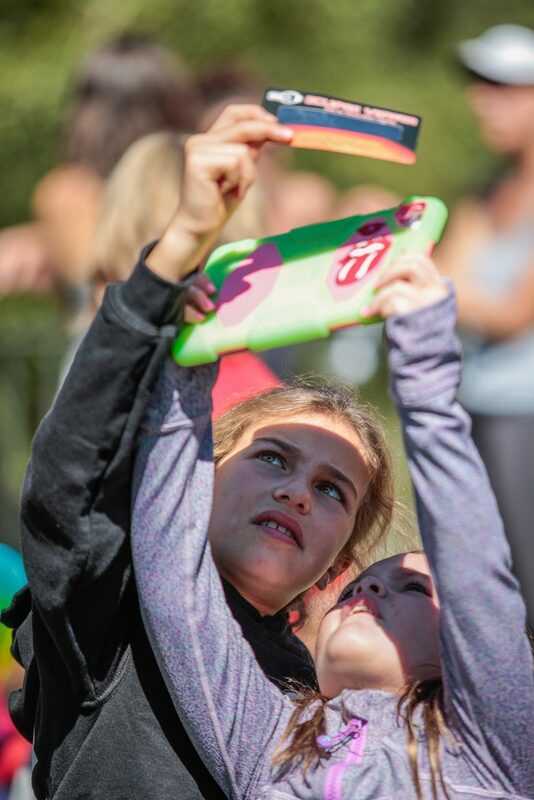 Paulina Jimenez, 9, left, and Natasha Hellmund, 7, of Miami try to get a photo of the eclipse during the Walking Mountains Science Center's Eclipse Watch Party Monday at the West Riverfront Resort and Spa in Avon. 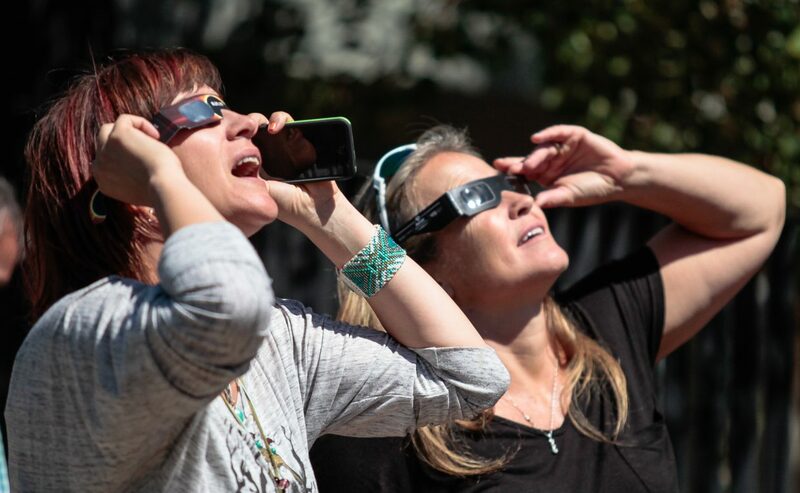 Holding the specialized glasses in front of a camera could provide a safe way of taking a photo of the eclipse. 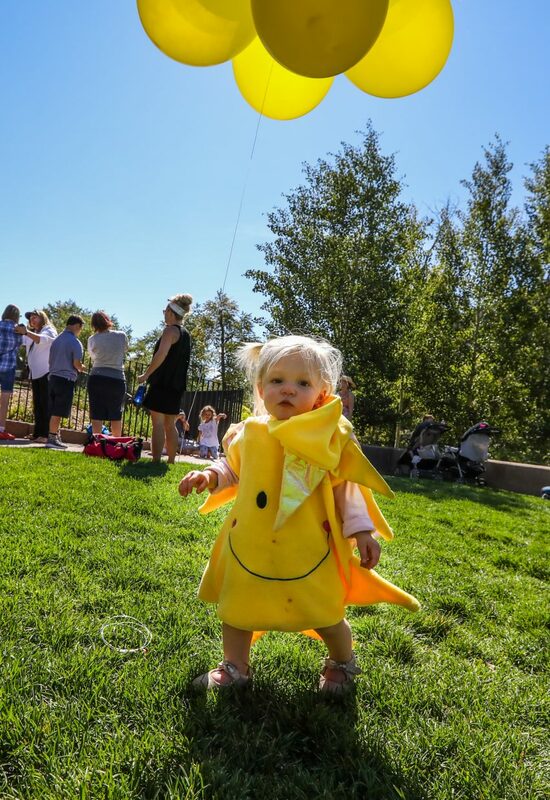 Riley Thompson, 1, wears a sun costume during the Walking Mountains Science Center Eclipse Viewing Party Monday at the Westin Riverfront Resort and Spa in Avon. Shadows project the eclipse Monday in Avon. 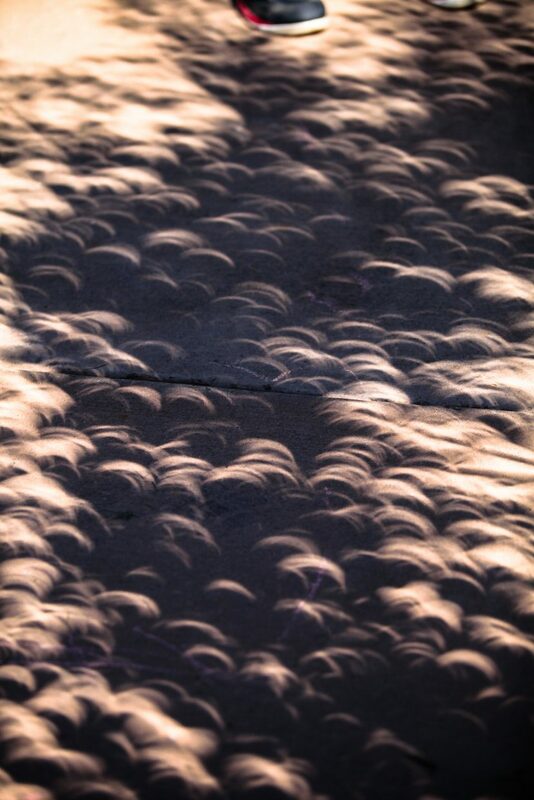 Shadows were a unique way to see the 91 percent eclipse in Avon. 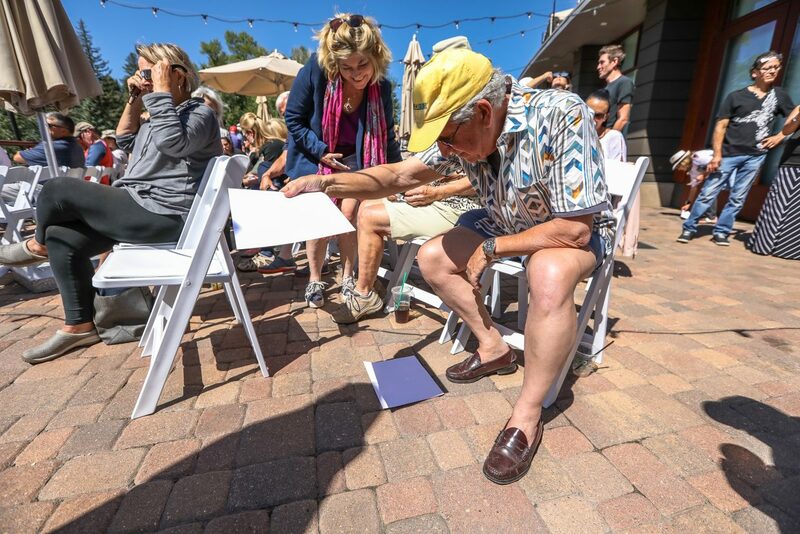 Ernie Mac of Glenwood Springs, Colo., makes pinhole projectors to view the eclipse during the Walking Mountains Science Center Eclipse Watch Party Monday in Avon. 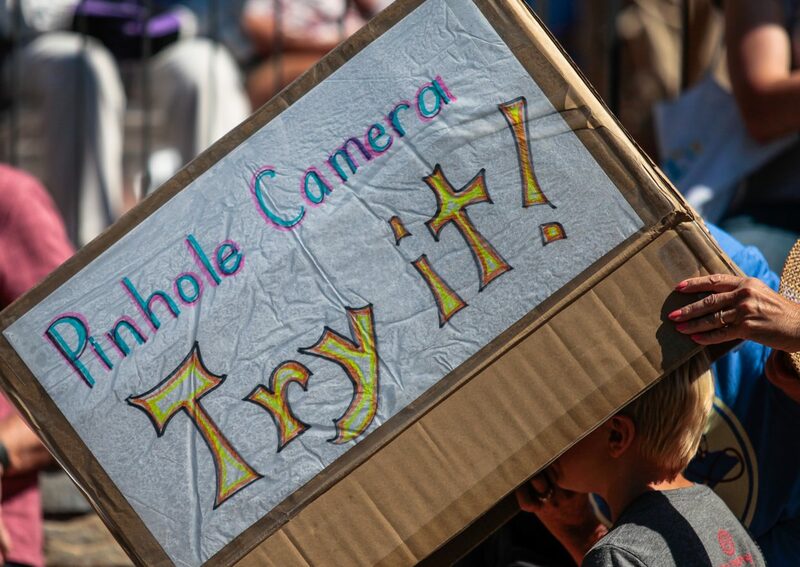 People could make different devices to view the eclipse other than specialized glasses. 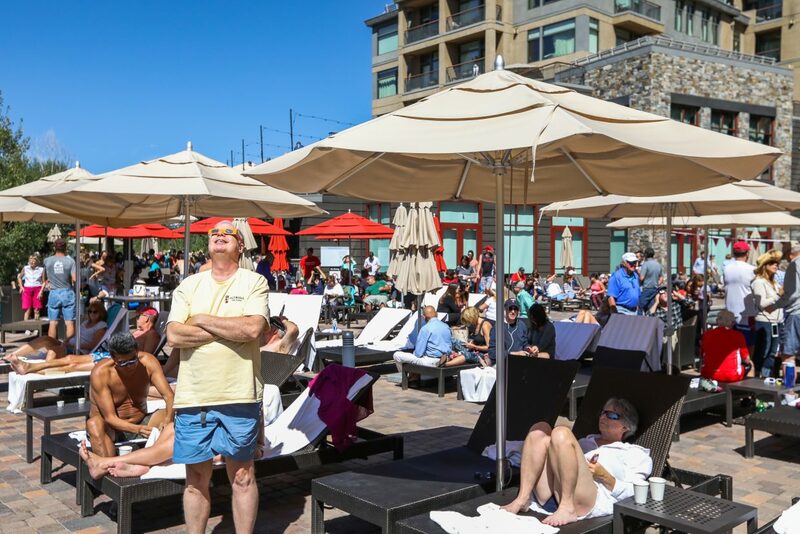 People packed the Wesin Riverfront Resort and Spa to watch the eclipse Monday in Avon. 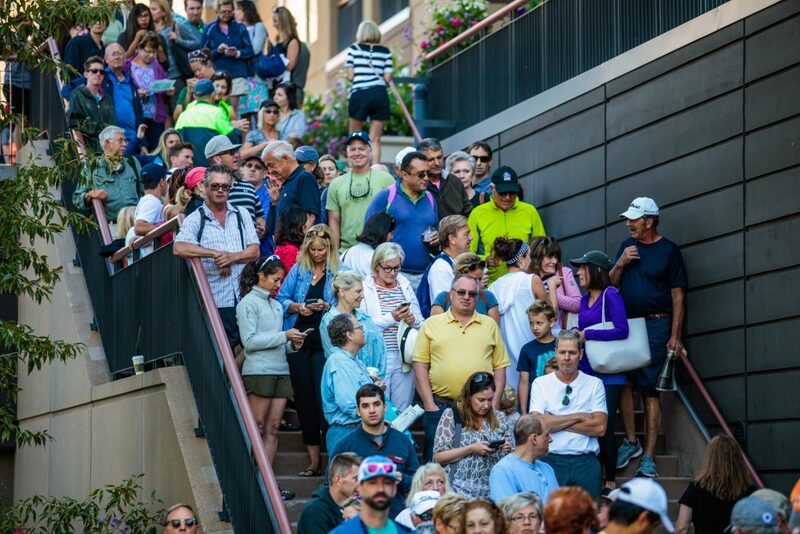 Hundreds showed up to view the out-of-the-world event. 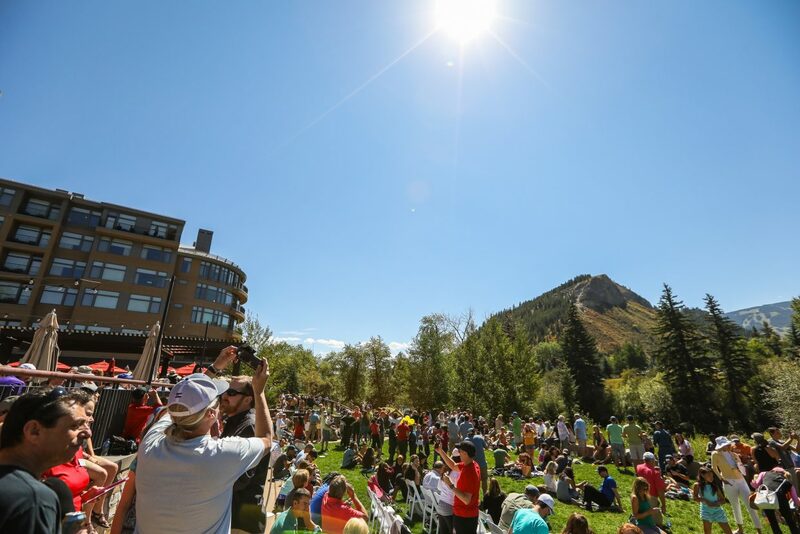 Hundreds showed up for the Walking Mountains Science Center's Eclipse Watch Party Monday at the Westin Riverfront Resort and Spa in Avon. 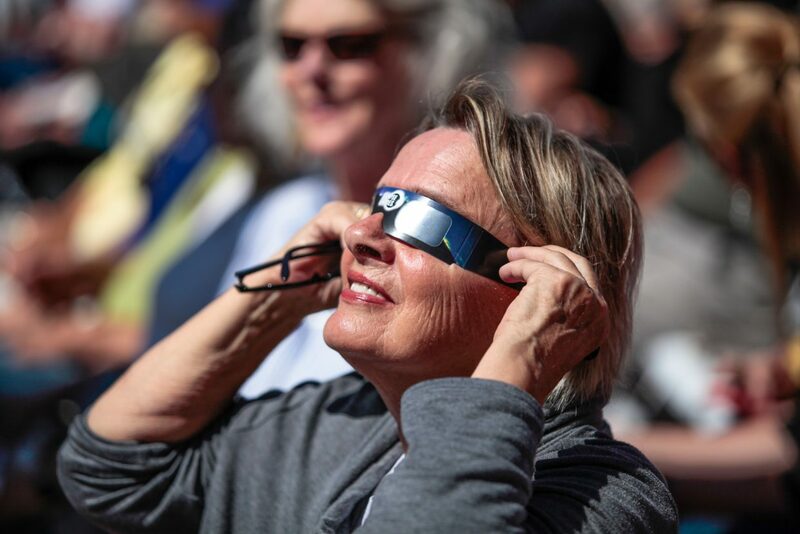 Free eclipse sunglasses were given out to the first 350 groups, yet since far mar arrived than anticipated, sharing was encouraged. 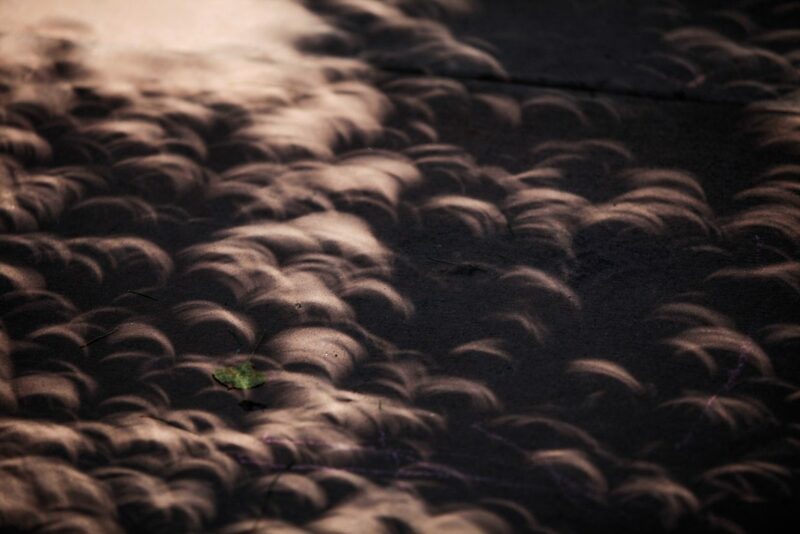 Crescent shadows took over as the eclipse inched towards its peak of 91 percent Monday in Avon. 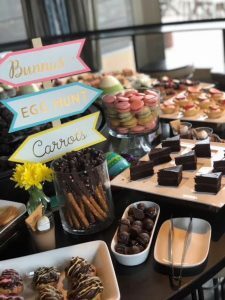 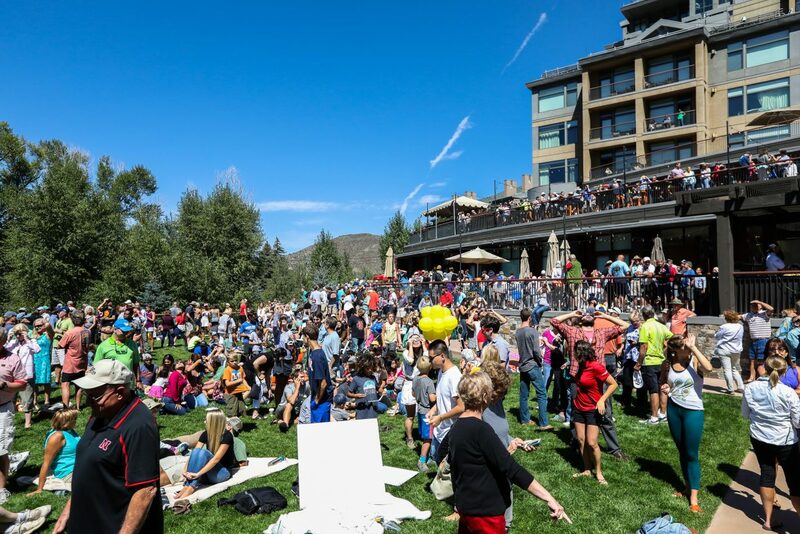 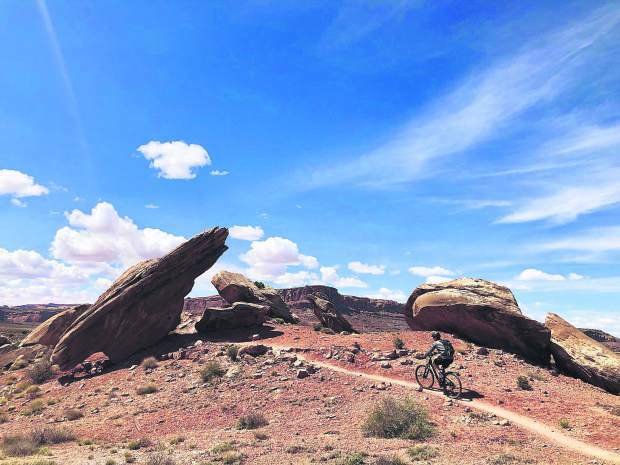 The Walking Mountains Science Center and Westin Riverfront Resort and Spa held an Eclipse Viewing Party Monday in Avon. 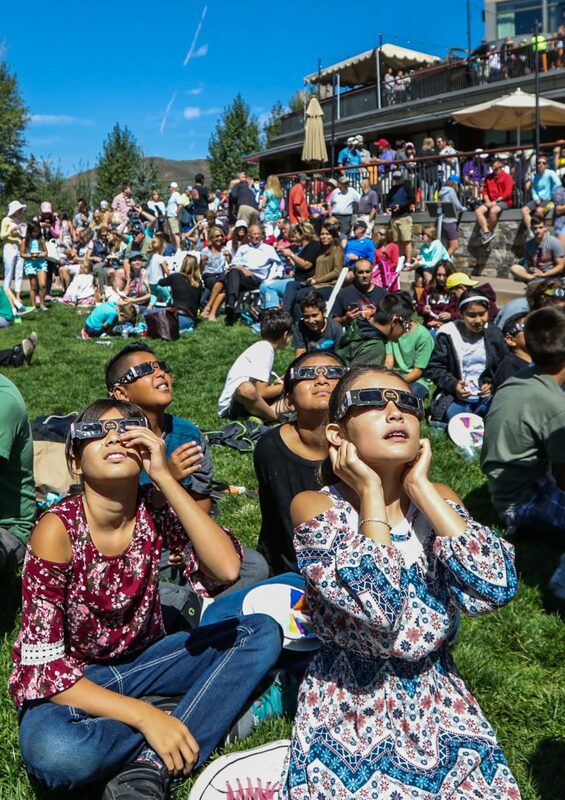 Hundreds showed up to view the partial solar eclipse, during which the moon blocked 91 percent of the sun as seen from the Vail Valley.